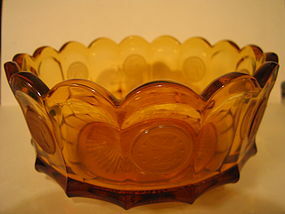 Amber coin bowl in the round size of 7 3/8 inches. There is no damage. I need your zip code to calculate the postage.